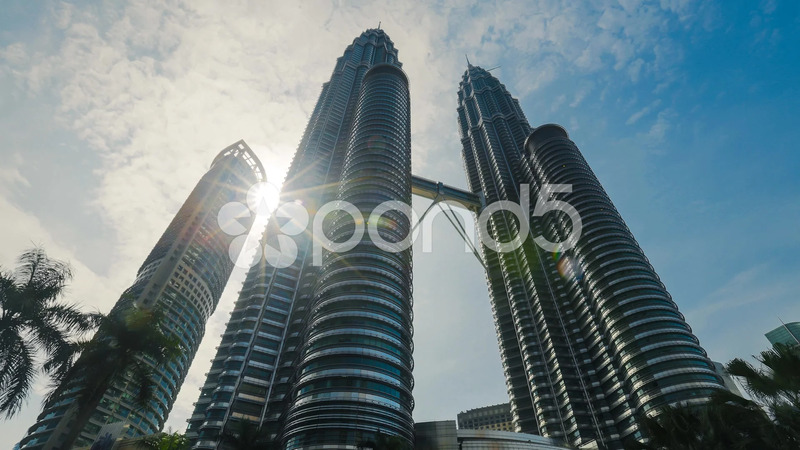 Description: A low angle timelapse of Kuala Lumpur's famous tower, Petronas Twin Tower. The tower houses corporate offices and the Suria KLCC shopping mall. White clouds can be seen moving rapidly above the twin tower.